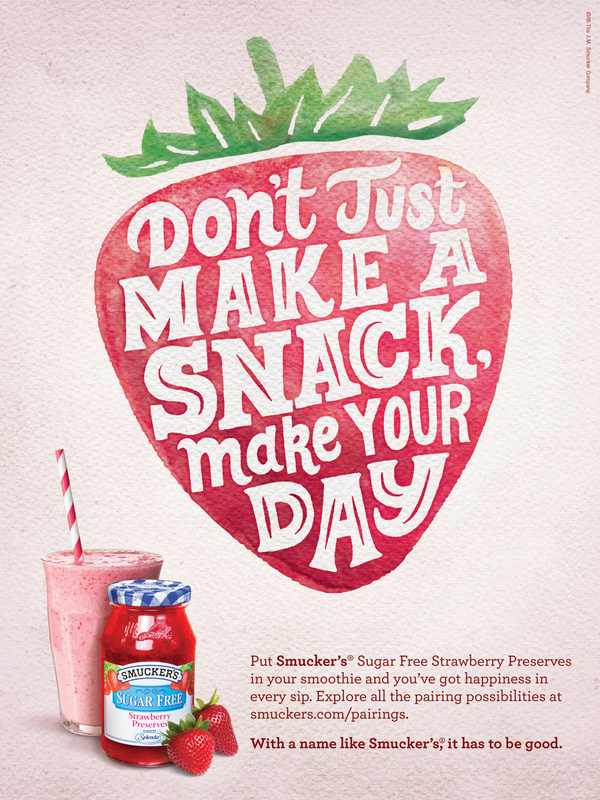 It was so fun creating the lettering for these ads for Smucker's Sugar Free Jams. I presented several different lock ups but the idea remained the same throughout. To the left is the sketch I presented for the Sugar Free Blackberry Jam that was inevitably chosen to go to final. Very little changed from the sketch to final, we wanted it to have a really hand drawn look but still clean and legible.